Came across quite a few cars lately that you rarely see on the road anymore. 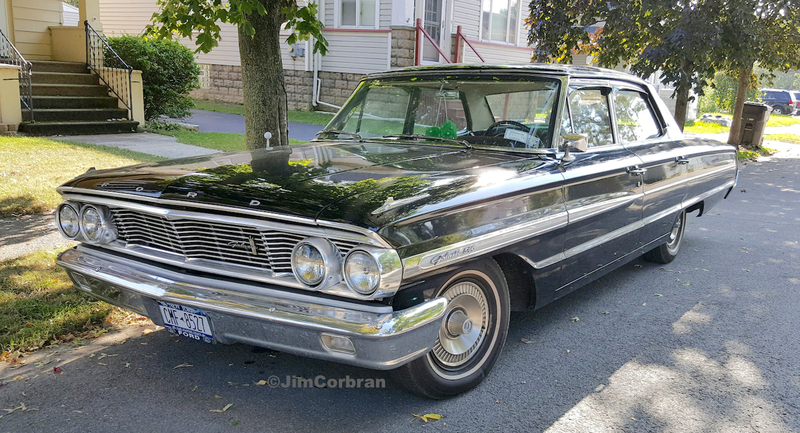 We’ll start today with this 1964 Ford Galaxie 500 four-door sedan, which was the Ford Division’s second-best seller for 1964 (198,805 units produced), behind only the Galaxie 500 two-door hardtop (206,998). (Those sales numbers would be shattered by the 1965 Mustang, which arrived in showrooms halfway through the 1964 model year as a 1964-1/2.) 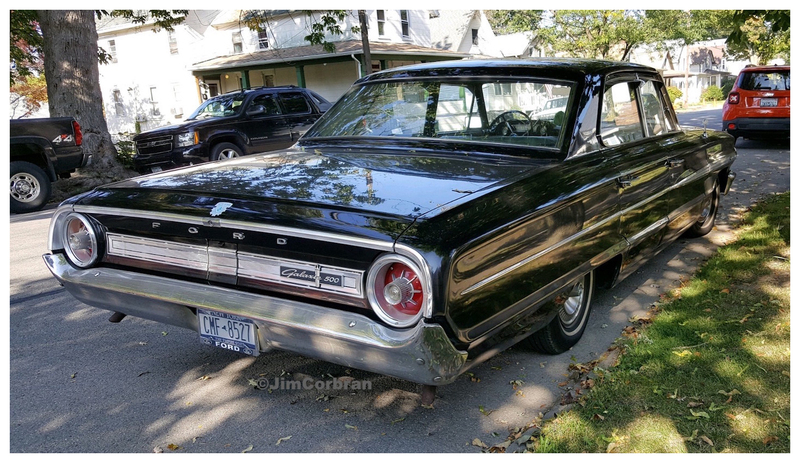 Motor Trend magazine was impressed enough to award its “coveted” Car of the Year Award to the entire Ford Division for model year 1964 (rarely do you see the COTY award mentioned without the “coveted” part, lol). Saw this one last week in Tonawanda.